After the presentation of GWT and GAE, I will introduce my first experience with GWT programming and its deployment on GAE through several articles. 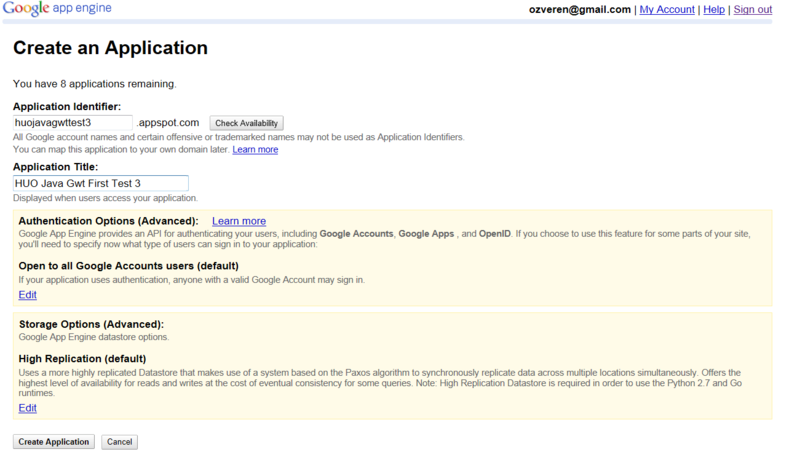 More, this skeleton GWT project contains a mini-application “testable”. This generated project is a skeleton project containing a simple GWT module of client-server communications. client/GreetingService: An interface which extends RemoteService that lists the service methods. * The client side stub for the RPC service. client/GreetingServiceAsync: An asynchronous interface to the service which will be used in the client code. 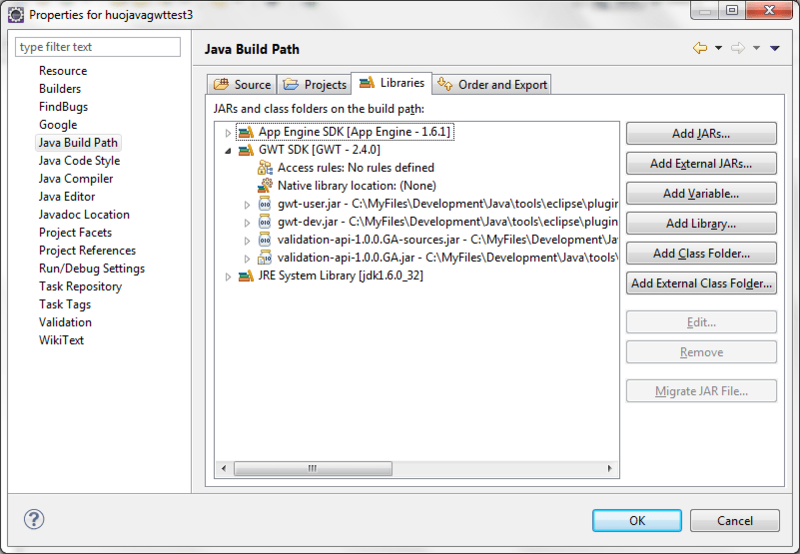 This is the AJAX GWT interface corresponding to the previous interface, but the mechanisms of integrating AJAX callback. It also specifies the methods used so distant and asynchronous. * The async counterpart of <code>GreetingService</code>. server/GreetingServiceImpl:An implementation of the interface and extends the RemoteServiceServlet. * The server side implementation of the RPC service. // Verify that the input is valid. // Escape data from the client to avoid cross-site script vulnerabilities. 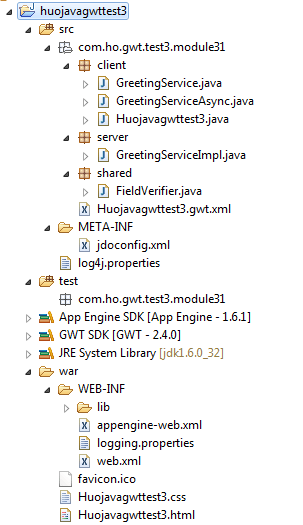 client/Huojavagwttest3: Entry point which is the starting point for a GWT application (similar to the main method in a standard Java program). An entry point is a Java class which implements the interface “com.google.gwt.core.client.EntryPoint” and must define the method onModuleLoad(). 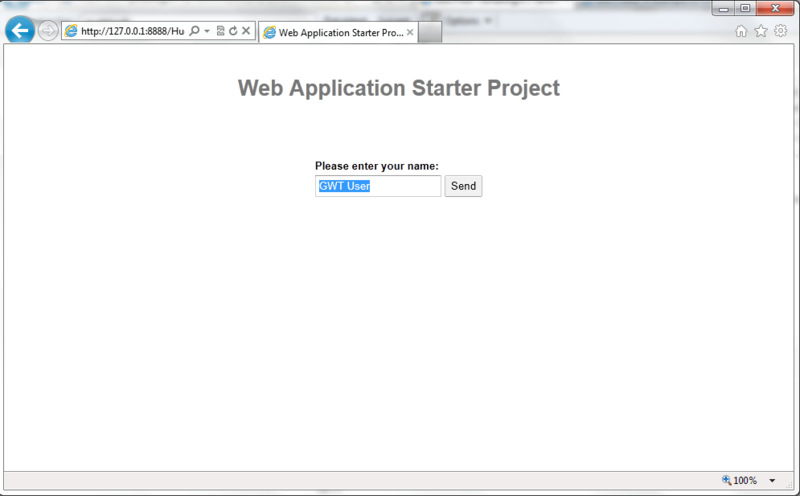 Now, we have a project which is a skeleton project containing a simple GWT module of client-server communications. So, we will deploy it on GWT embedded server named Jetty. To deploy an application in HOSTED mode (DEVELOPMENT mode) on the server JETTY embedded in GWT framework see the post GWT/GAE: Deployment an application on GWT embedded server named Jetty in Hosted mode. In this article, we have related the prerequisites, the configuration of a GAE account, the creation of a new Eclispe project with the type “Web Application Project” and the deployment of an application on the GWT embedded server named Jetty. In next articles, we will discuss about the evolution of the interface with GWT Designer, the deployment of an application on a Jboss server, on a Tomcat server, on GAE cloud, …etc. 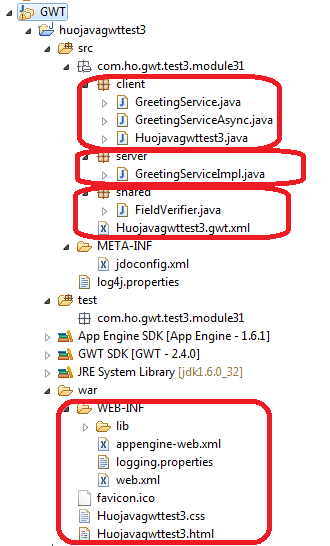 Notes: This file huojavagwttest3.zip contains the final version of the tutorial (from PART1 to PART4), but, it is necessary to add the librairies appengine-api-1.0-sdk-1.6.1.jar, appengine-api-labs-1.6.1.jar, appengine-jsr107cache-1.6.1.jar, datanucleus-appengine-1.0.10.final.jar, datanucleus-core-1.1.5.jar, datanucleus-jpa-1.1.5.jar, geronimo-jpa_3.0_spec-1.1.1.jar, geronimo-jta_1.1_spec-1.1.1.jar, google_sql.jar, gwt-servlet.jar, jdo2-api-2.3-eb.jar and jsr107cache-1.1.jar.